American journal Photo District News (PDN) assigns one of the most prestigious rating of young, but outstanding photographers from all over the world. PDN chose only one photographer from Russia – photographer from Saint-Petersburg, author of gallery FotoDepartament Tatiana Plotnikova. All her main projects are realized in the field of social-oriented documentary. On the PDN’s page you can see photographs from several series – devoted to deer-breeders in Yamal, to keeping of traditional Russian baths in Saratov region and to pagan rituals of folk called mari. 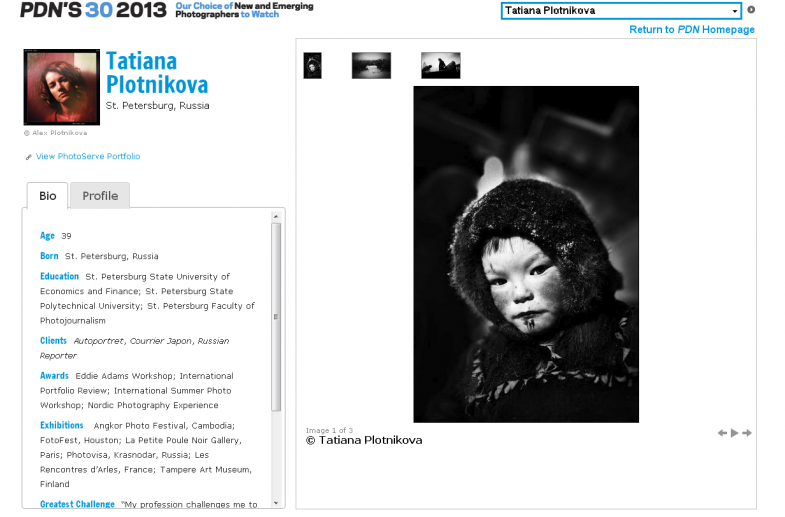 Experts comment her work: Tatiana is “unafraid of the emotional content of her work”. Tatiana Plotnikova prefers undistanced contact with shooting’s objects, but to “pass the story through her heart”. 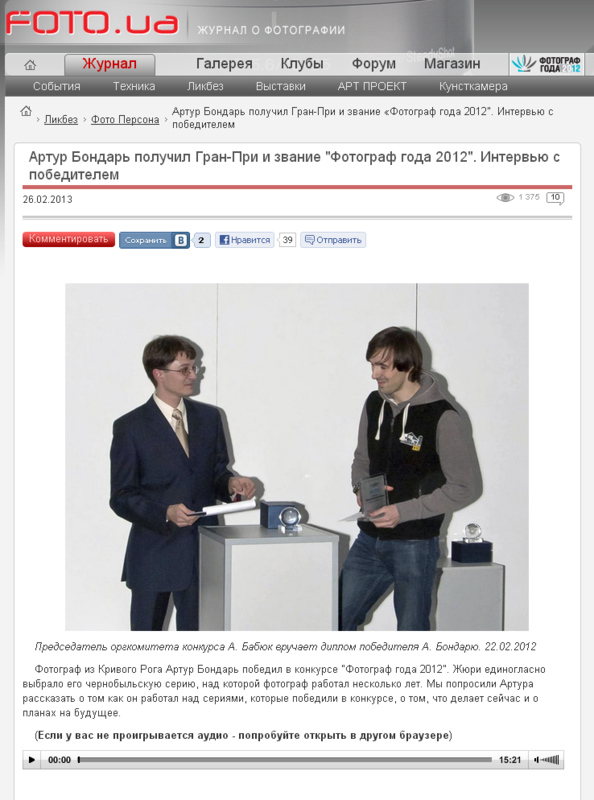 In the end of February in Ukraine were published the results of a contest “Photographer of the year 2012” and the grand prize received Arthur Bondar, participant of the winter season’s exhibition “Young photography 2012”. His work, which was rated high by the judges, is a documental series about Chernobyl Zone. Photographer has visited this place for 4 years. This project with “quite biblical” name “The shadow of the star “Polyni” is the result of mixing art principles with documentary. Its distinctive feature is author’s involvement, his refusal to play a role of passive indifferent observer. Alexander Gleadelov, the coordinator of the jury of the competition, commented Bondar’s work: “Chernobyl, as a circumstance of a place, where these lives and deaths happen, dictate the terms of being and ending. But perfect narrative and figurative dramatic concept of this series tells about the main thing: about love. It tells about love of these people, whose life is full of hardships, to each other, to the land, where they were born and in which they want to sink into grave and have peace, and about the author’s love to these people”. The victory in the contest was followed by a publication of the whole series with author’s comments in M-journal about documentary photography of the foundation Liberty.su. “The feeling of Chernobyl Zone haunts me everywhere, wherever I am and no matter how far of it I am. It’s always with me – in my eyes, in my thoughts, in my heart and in my soul. I make this project as a mark of respect and in memory of land and people, who suffered after the Chernobyl catastrophe”. 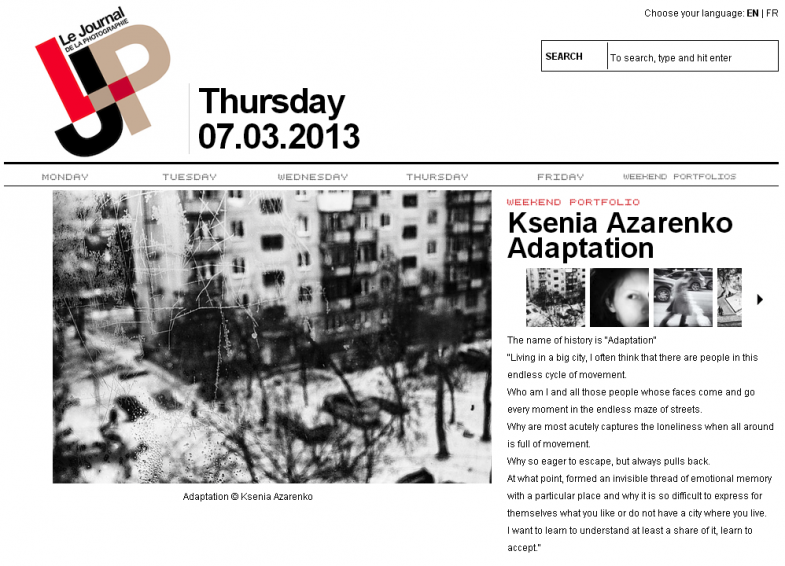 Documental project of Ksenia Azarenko, another participant of the exhibition “Young photography 2012″, was published in French on-line journal “Le journal de la photographie”. Her series “Ambivalence”, devoted to the search of a lost human’s essence in a big city, became a part of weekly column Weekend Portfolio. In the endless movement and flows of people Ksenia has tried to find a point of silence, where is possible to understand – who are you, why are you here, in this city and what is connecting you. 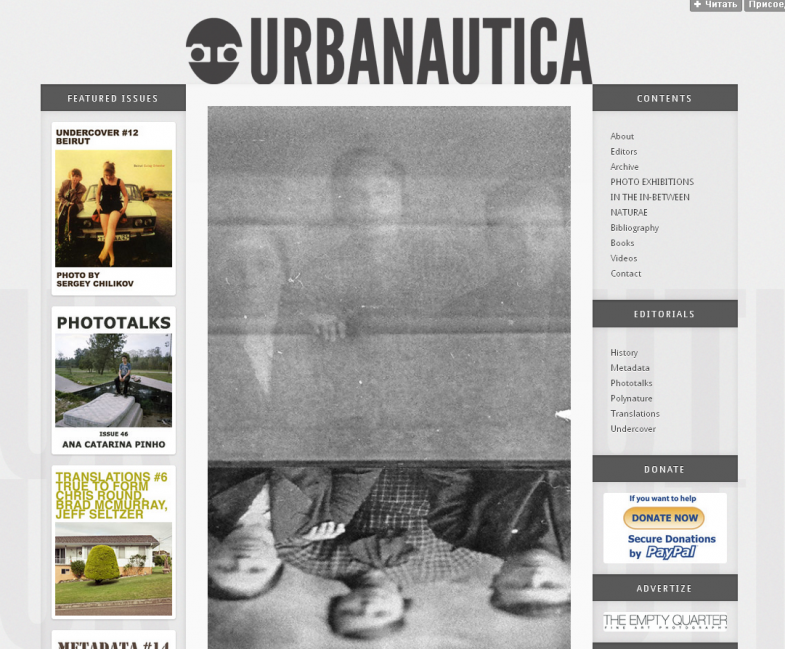 Photo blogs FeatureShoot and Urbanautica, one after another, published diploma projects of two participants of educational program in FotoDepartment “Photography as a research”, of a course “Overcoming photography” in autumn 2012. The first is Anastasia Bogomolova from Chelyabinsk, the participant of the winter season’s exhibition “Young photography 2012”. Her series “Recall”, which the author of FeatureShoot called “clever reinterpretations of old family photographs”, is a result of 4 year work: sorting out the family archives, questioning relatives and filtration of common memoirs. It opened an impossibility of complete recreation the image of past generations’ life. It makes Anastasia to note: “sometimes we are the ones who have to finish writing our family stories”. Journey into family memoirs was made by another young author and hero of publications in FeatureShoot and Urbanautica – Natalya Reznyk, the participant of the summer season’s exhibition “Young photography 2012”. 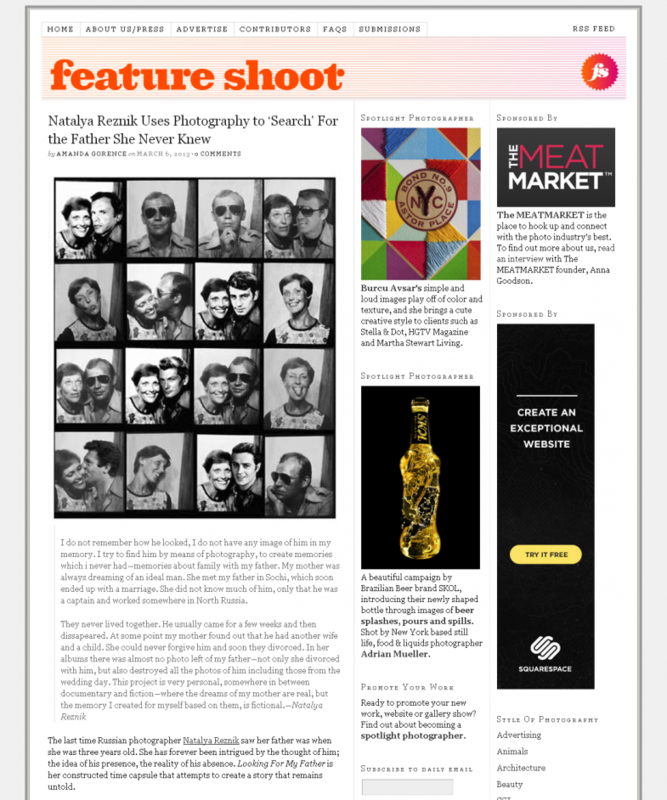 Series “Looking for my father” is her attempt “to create a story that remains untold”. All remained from Natalya’s father, who disappeared from her life when she was three years old, are several photos with her parents from passport photo machine. His face can hardly be inspected on it. This intimate series is an attempt to create an image of her father from fragments. 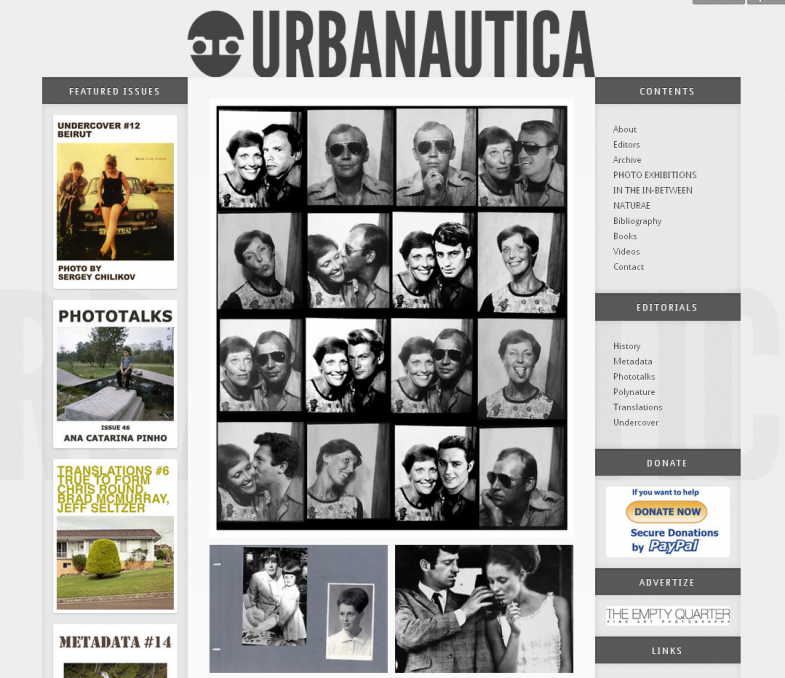 “I used in the project old photos from the album of my mother and reconstructed our new memory “with the father” using the portraits of movie-stars from the ’70s”, – writes Natalya.